Genus Box Plate Adaptor Bars System is specially designed for Canon Cinema EOS Camera (1DC, C100, C300, C500). By utilising industry standard 15mm rods, the box plate ensures compatibility with other accessories. You can accessorise your camera with the easy attachment of matte boxes, follow focuses, etc. It is manufactured from aviation grade aluminium that makes the rig both strong and lightweight. 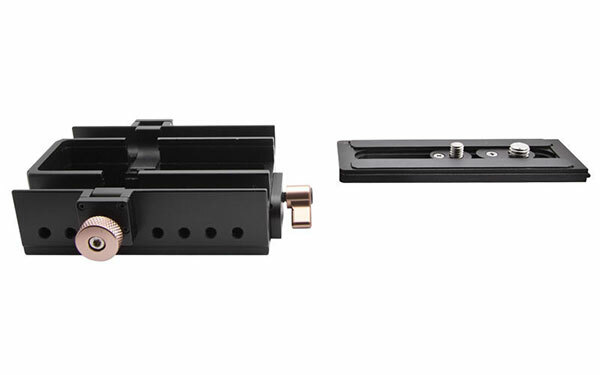 The GMB-CCP comes with 215mm (8.6") rods and 200mm (8") extension rods as standard and allows mounting accessories on the front and back side of the plate. It mounts to the camera base with 2x1/4" and 2x3/8" camera screws and a pin to suit wide range of cameras. Quick release function was designed for the camera plate. It can be easily attached or detached from the baseplate by rotating the camera plate baffle. 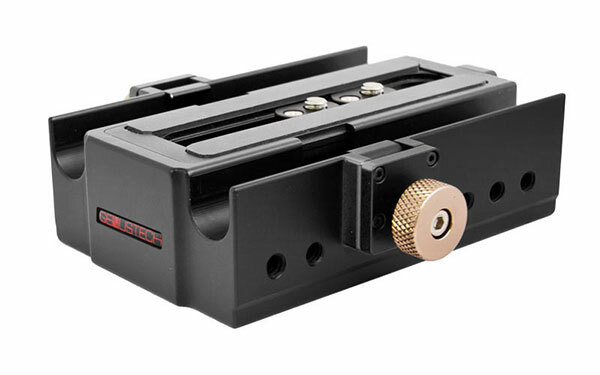 The baseplate has standard 1/4" and 3/8' holes on the bottom for mounting onto a tripod.